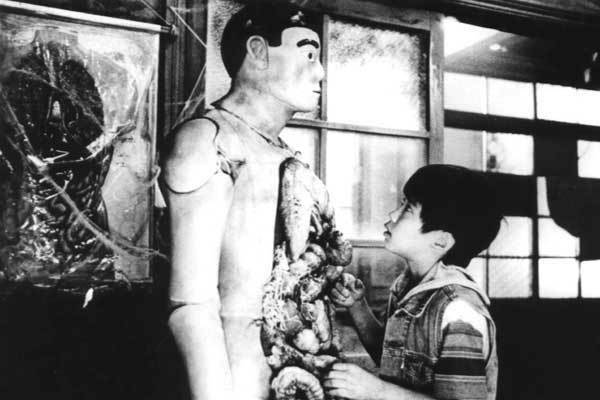 A suburban elementary school is haunted as a boy accidentally knocks the head of a "Haniwa" like figure and it is broken. The pupils, one after another, are trapped in the old school building and are horrored by evil spirits. This film is a commercially successful blending of old Japanese ghost tales with relatively modern special effects. The blend of fantasy, horror and comedy and the school setting made the film popular among young audiences.